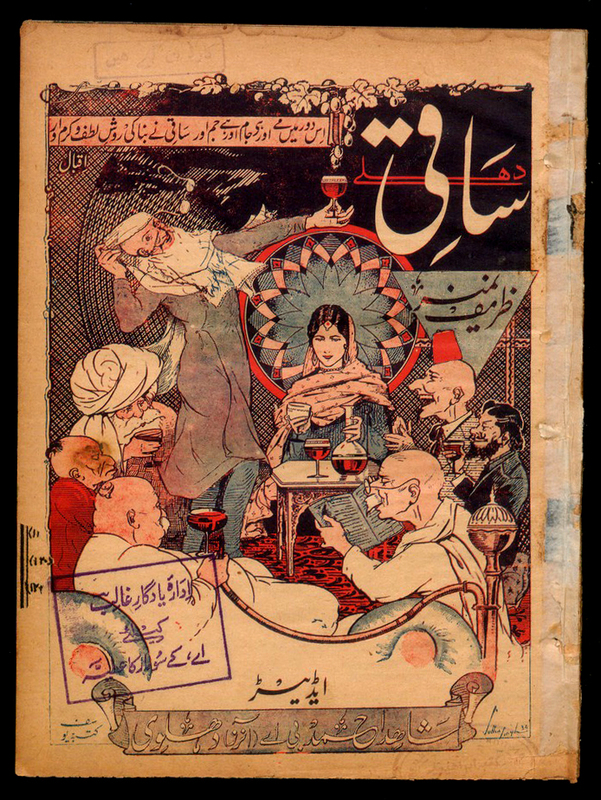 One of the most interesting covers I came upon while browsing through the British Library’s Endangered Archives project is the April 1946 issue of Saqi. 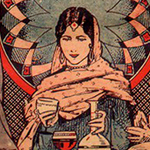 The issue is the Urdu journal’s special humour edition. The illustration is signed by Sobha Singh, the artist best known for his paintings of Sikh gurus (several Saqi covers are signed by him). Saqi ne bina kii rawish-e-lutf-o-karam/sitam aur. This round, the wine is not wine, the cup not a cup, the crowd more than a crowd. The Saqi has set in motion new modes of pleasure and generosity/oppression. All definitions from Platts Dictionary.